Magic Online provides the closest digital experience available to real life paper drafting. In Magic Online, you draft with a pod of 7 other people. 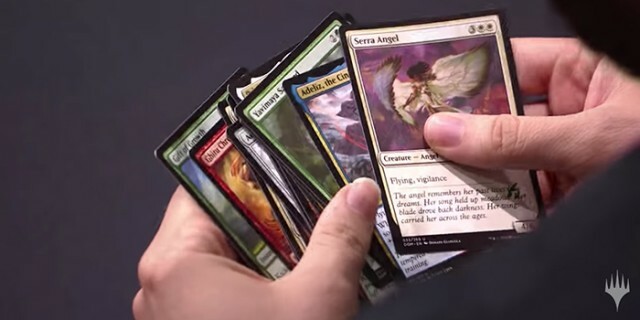 In Magic Arena, you draft with a pod of 7 computer opponents. This has a huge impact on the drafting experience. If you’re wanting to get experience in draft for the real thing at your local scene or at a large tournament, Magic Online is the only way that will provide a realistic experience. You’ll learn much more what cards people value early and what cards you need to take right away. You’ll also learn to recognize when a color is more open than another and be flexible in your drafting style. Drafting with a computer has some quirks. For example, I’ve been passed Carnage Tyrants by the computer before. Perhaps Magic Arena will one day add drafting with other players instead of just computers. If a player drops out or disconnects, it can go into auto-draft with a computer replacement. I don’t mind waiting a few extra minutes for the better drafting experience.